If you aren’t taking advantage of responsive email design right now, you are flushing money down the drain. According to Adobe, 79% of smartphone owners use their smartphone for reading email, a higher percentage than those who used it for making calls (Adobe – “2013 Digital Publishing Report: Retail Apps & Buying Habits”). On top of that, Optyn reported that 75% of smartphone users delete emails they can’t read (e.g. : non-responsive emails that look like crap on a mobile device). 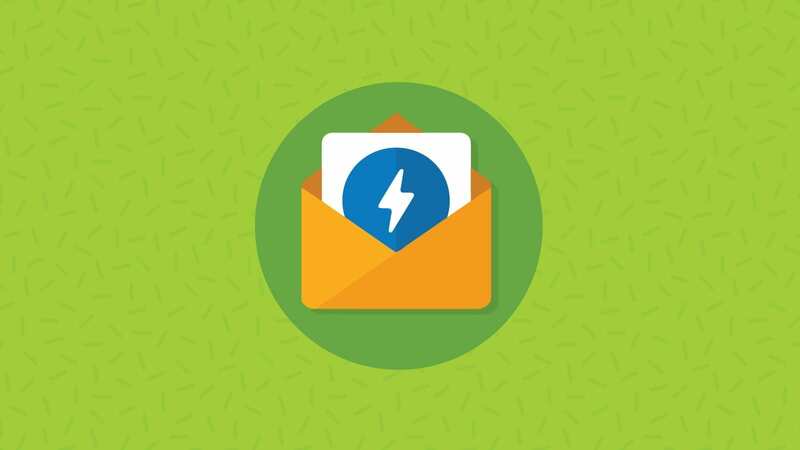 That’s why we took the time to scour the web and find 10 stellar responsive email templates you can customize and brand to put your best foot forward with your subscribers. Plus, these templates are hella cheap so you don’t have to break the bank kick-starting your next email campaign. Check them out below! Metromix is a simple “free-style” email template built for email marketing newsletters, products offers, business emails, and more. This template comes with 7 color schemes, 1 mixed layout and 12 repeatable modules. This email provides an optimal viewing experience across a wide range of devices and screen sizes. Bonus: Metromix is MailChimp and Campaign Monitor ready! 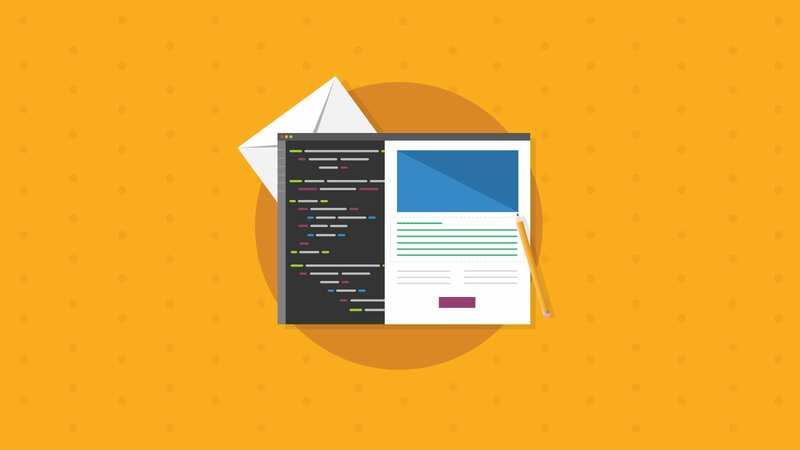 Extra allows you to create an unlimited number of custom emails with their template builder. You can change your layout in seconds with the Drag & Drop functionality and change color with a click of your mouse. 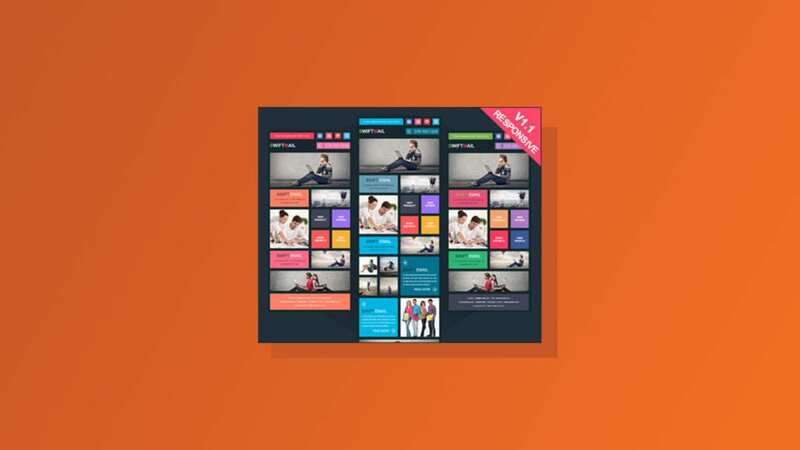 With 7 unique layouts and 5 color variations you can get your next email campaign out in no time. You can also import this template into MailChimp or Campaign Monitor and make edits on the fly without messing around in the HTML. This minimalist template has a crisp and clean landscape that can be easily manipulated so you can create your own, personalized layout. With no distractions, you can ensure your message will be heard loud and clear. Karta makes copying, adding or removing modules a breeze with clear comments in the code and detailed help documentation files. Don’t feel like messing around with HTML? That’s fine too because you can choose from 5 sample layouts and 4 color variations. With your download, you will get a total of 36 HTML files that are compatible in all major email clients. The templates are editor-friendly with MailChimp, Campaign Monitor and MyMail. Give it a spin! If you are looking for a template with a more ‘suit and tie’ feel to it, look no further. This precise and fresh template is perfect for your B2B emails. Professionally designed throughout, readers can navigate through the content with ease. Pismo also offers modular HTML so it is easy to realign your layout. The templates include 6 color schemes so you can brand them to your liking. Pismo’s clean design will allow readers to focus on your products and features while positioning your business in a professional light. Swift’s responsive templates uses every inch of space beautifully, with a vast array of hard boxes and magnificent colors. The grid-based layout is perfect for product-filled newsletters. This responsive template has been EOA tested, and comes in 5 layouts with 4 color schemes. Need a drag & drop enabled template with repeatable modules? Look no further because this template is compatible with MailChimp and Campaign Monitor. Give your next email campaign a splash of color today. This responsive template will scale beautifully on any device and is compatible with MailChimp, MyMail and Campaign Monitor. Clicks is a minimalist template that offers a very professional and clean layout. Minimal graphics will speed up load times for your readers and reduce data usage. The template makes great use of whitespace and allows your readers to dive right into your content. If you need to customize or re-arrange your columns, no problem! With their flexible and repeatable modules you can mix and match in a matter of seconds. This modern and clean responsive template includes 8 different themes, 5 colors and 120 HTML files. This template beautifully transitions from desktop to tablet to phone with color combinations that pop off the page. It also includes 40 layout/combinations and is MailChimp, Campaign Monitor, and iContact ready. It collapses into a single column so mobile readers are able to skim through your email with ease. This template could be a perfect fit for your newsletter as the sections can be filled with images and text-heavy content alike. Plinter’s template is Mailchimp, Campaign Monitor & iContact ready with 240 layout/color combinations. This template has radiant, touch-friendly buttons that will make converting your mobile users a breeze. With their 8 different themes and 5 color variations, you can choose whether you want a content or image heavy layout. Heck, there is even a template with a perfectly balanced text-to image ratio if that’s what you are going for! This crisp, eye-catching template has 5 colors, 8 layouts and up to 120 different configurations. At only $17, that is a ton of bang for your buck. This template could serve well for your news-orientated emails because the layout allows for quirk blurbs and killer graphics. A weekly update would look great with this template. All the PSD files are included and the template is MailChimp, Campaign Monitor and iContact ready so you can hit the ground running. Grab this adaptable template and allow your clients to browse your news updates with ease. Minico is a simple, beautiful template suitable for most businesses. This package comes with 12 content block variations and has been extensively EOA tested. On top of that, you can alter these templates by choosing between 7 color variations, 8 header elements and 9 footer elements. It is MailChimp and Campaign Monitor ready with a flexible table structure so you can customize with ease. Put the focus on your products and features with this clean, simple layout. 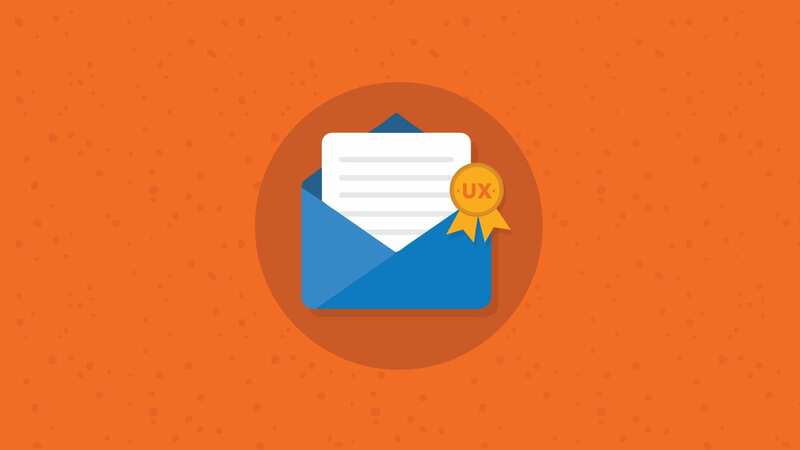 What kind of responsive email templates inspire you? Share them below! A little strapped on cash while getting your business off the ground? No worries, we got your back. Check out our blog on where to find 600+ email templates without paying a penny! 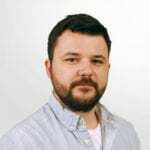 Hailing all the way from England, Alex brings his email development expertise along with an endless stream of cups of tea and British cynicism. Follow him on Twitter: @omgitsonlyalex. Nice top ten responsive template!! good template looking creative. i Suggest responsive email template designer company named http://www.emailchopper.com that create a responsive email template by 6+ year experienced. How do I use Email on Acid’s Editor tool and what kind of value can I get out of it? What’s the Latest with AMP and How Can I Use It for Email?